Michael Ross, a.k.a. 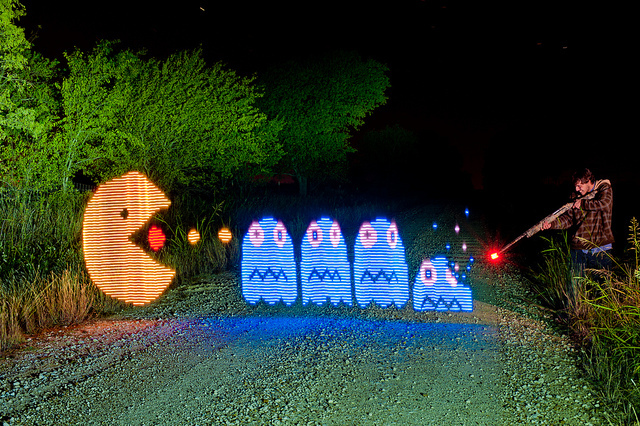 TxPilot is a light painter and self proclaimed geek, nerd, and techie. 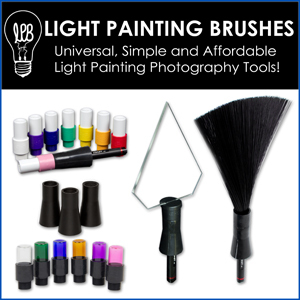 He has a passion for creating new light painting tools. 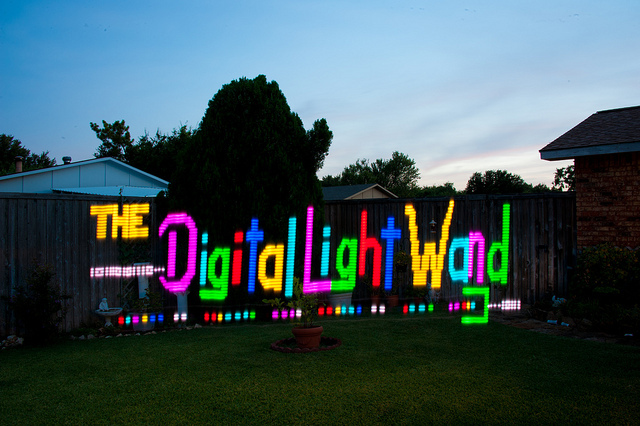 Michael is the creator of The Digital Light Wand, it is a programable LED light strip that can create just about any design a light painter can think of. Michael recently uploaded a lengthy and detailed tutorial showing other light painters how to create his greatest invention to date. 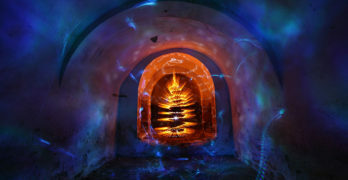 Below is a interview I did with Michael about this insane light painting tool. LPP ∇ First give me a little of your back ground how long have you been light painting? MR ∇ I got started in Light Painting about 2 years ago. The typical long exposures with Sparklers on the 4th of July story. I really got deep into it when I ran across a light painting by TigTab on Flickr. It just blew me away and I had to learn more. LPP ∇ We have all been there…lol, when did you get into photography? MR ∇ I have been into photography on an small scale all of my life, but at the start of 2009 I made a decision to try to learn to master it. LPP ∇ So I saw your massive tutorial recently about how to make the digital light wand, when did you first create this tool? MR ∇ I had the idea of creating it when I first started to get into light painting. But it was around October of 2009 that I ran across the addressable light strip and I knew I would be able to make it work with that. I experimented with the electronics for a few months and finally had a break through with it in December of 2009. LPP ∇ Can you explain a little bit about what it is and how it works? MR ∇ Without getting into the technical details. The light strip is an RGB LED strip that will take software commands. Each LED can be controlled separately for the color mix and on and off state. I used the Arduino Mega Microcontroller board to connect to the strip to send the commands to it to control the colors and on and off sequencing. I then created a spreadsheet program that I use to “visualize” the image that I want the light strip to make and it generates the software code needed to make it happen. Once the software is downloaded to the microcontroller and power is turned on, the strip will play the sequence. LPP ∇ Holy s@#!, so are you an electrical engineer, mad scientist, of just really smart? MR ∇ Ha! I have been called a “Mad Scientist” on more than one occasion! I do have a background in electronics as I was an Avionics Tech in the Navy. My Grandfather and Father also were into electronics heavily. MR ∇ I have been known to think outside that is outside the box a lot. I am constantly thinking of new ideas and tools that will work with Light Painting and at this point I have a list of ideas so long it will take a lifetime to complete them all! Ha. The original idea was to be able to create a tool that I can use to light paint the Mona Lisa in the air! I haven’t reached that goal yet but I will! LPP ∇ WOW I really like where your headed with this idea! That takes me to my next question, The tool looks like it can do just about anything what are the limitations of the Digital Light Wand? MR ∇ There are several things that I would like to improve with this tool, the two major limitations are the color range for each LED and the “Resolution” or basically how far apart the LEDS are from each other. I already have version 2 AND 3 designed in my head and the parts have been sitting under my desk at home now for a year. Just have not had the time to work on them yet. LPP ∇ Cant wait to see what you can come up with in the next version of this little monster…. Recently flickr has given some exposure to a guy that goes by the name mechatronics for his work with something similar have you seen his images? MR ∇ Yes, I have seen his images and the tool he created. One of my employees told me about it the day he made his announcement on Reddit. LPP ∇ Some folks in the LP community feel like maybe he ripped your idea and didn’t give you the credit you rightfully deserve for being the originator of this idea, whats your take? MR ∇ I don’t really feel that way. He basically had the same vision I did and created a tool that is similar but different in a lot of ways. When he made his announcement, I guess some others must have steered him my direction. He contacted me via email and we are talking about combining our efforts and creating a single tool that will give everyone the best of both worlds! Both of the designs have advantages that the other does not have. LPP ∇ Thats good to hear…. It is awesome that you made the tutorial for everyone to try to create their own but for those of us who will electrocute ourselves do you plan on making any for SALE? MR ∇ I don’t know if I will market them. My goal with the tutorial was to try to make it as detailed and easy to follow that anyone with some basic DIY skills could build one. I will keep working towards that and by releasing the way I did, I am really hoping that some others will take it and add to it to make it even easier to build and use. At this point I am looking forward to moving on to some other projects for Light painting that I think will even put this one to shame! Oh… and no one should worry about being electrocuted with this. There is no way any part of this tool could hurt anyone. Unless you were hit by it that is! LPP ∇ Thanks for taking the time to answer some questions we are all looking forward to seeing your next invention! MR ∇ No problem at all. It was my pleasure. Yay Mike! Cool interview and tutorial. But I said that already.